The Lao – Viet International Port Joint Stock Company yesterday held its opening ceremony at the Vung Ang port wharf after Tet holidays. The Lao – Viet International Port Joint Stock Company hold its opening ceremony at the Vung Ang port wharf after Tet holiday. 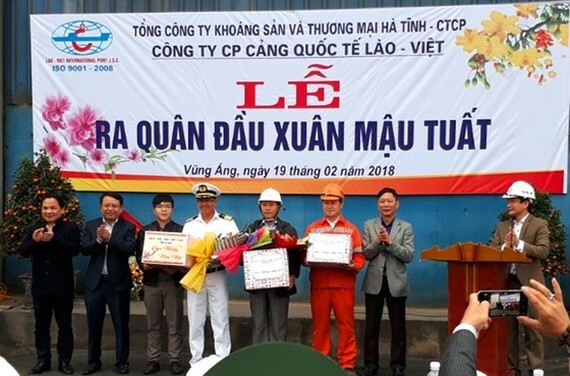 At the ceremony, Deputy Chairman of the People’s Committee of Ha Tinh province Duong Tat Thang offered flowers, gifts and sent the best wishes to a crew members of Princess Pacific ship (nationality of Marshall Island) and officials of the Lao – Viet International Port Joint Stock Company. In the first days of New Year, the Princess Pacific carrying 45,000 tons of lumber being the first container ship with its capacity of 49,608 tons docked at the Vung Ang Port. Additionally, a Vietnamese container ship carrying 17,000 tons of lumber named Thanh.T ,Dat 9999 anchored at the port wharf. 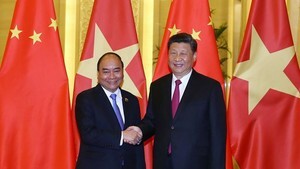 The Vung Ang Port under the management and exploitation of the Viet-Lao Vung Ang Port Joint Stock Company is well-known one as one of the biggest deep-water seaports in the central region of Vietnam.